Triggers can be unusual, capricious things. At least for me, they are almost always unwelcome. Last Wednesday, my trigger was a small, worn-out, Little Tikes piano. 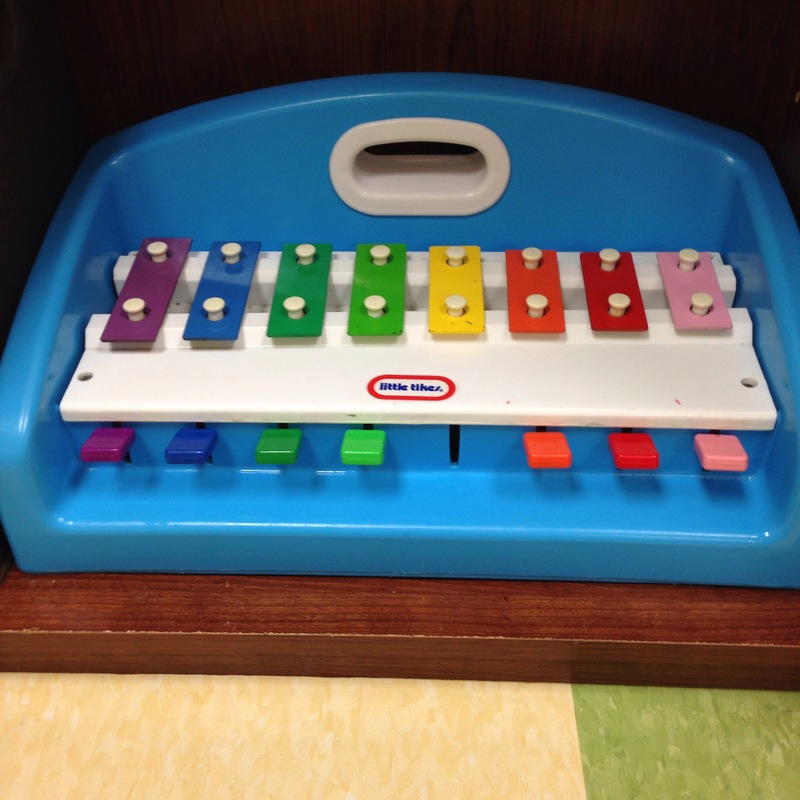 A toy piano like the one I started playing almost from the time I could sit up by myself. A toy piano like the one my grandpa tried to teach me to play by ear — even though I didn’t understand why this was necessary since I had perfectly good, color-coded music. Wasn’t it easier to just use that? Years later, I learned to appreciate that lesson from my first piano teacher. But it was too late. My suspender-wearing, organ-playing, book-reading, pocket-knife-carrying, even-tempered, loving grandpa with a wood shop in his basement was gone. Last Wednesday, that little, out-of-tune piano in the church nursery brought back what little I can remember of my grandpa’s voice… and it reminded me how much I could miss a man who has been dead almost 25 years. Lord, tis for Thee, for Thy coming we wait- the sky, not the grave is our goal. Oh, trump of the angel! Oh, voice of the Lord! Blessed rest, blessed hope of my soul. And, Lord, haste the day when my faith shall be sight, the clouds be rolled back as a scroll. The trump shall resound and the Lord shall descend, a song in the night, o my soul! If Christ can be trusted with such a future, then He is to be trusted with my present and my past, whatever the joy, pain, or memories… even the ones triggered by little toy pianos. Posted on August 22, 2016 by Katie •	This entry was posted in Thoughts and tagged Christ, comfort, death, encouragement, faith, Holy Spirit, hope, hymns, life, love, memories, music, piano, reminders, resurrection, toy. Bookmark the permalink.